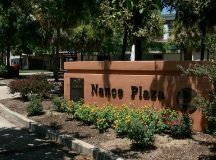 Post Tagged with: "downtown redevelopment"
I have been involved with downtown redevelopment in the City of Myrtle Beach for twenty years. As a matter of history, the Pavilion Area Master Plan (PAMP), adopted by the City in 1998, was the guiding document that birthed redevelopment district boundaries, and subsequent actions by the Downtown Redevelopment Corporation and City leaders. The PAMP identified 5 districts in need of action between 16th Avenue North and 6th Avenue South, and from Broadway and Oak streets to the Atlantic Ocean. 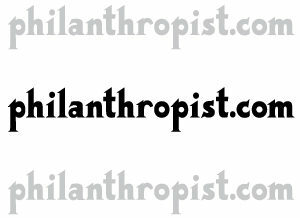 To date, there have been many accomplishments, mostly in the North Entertainment District. 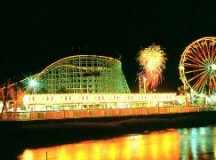 These include the Boardwalk, SkyWheel, Plyler Park and related private development. However, we all are acutely aware of the continuing difficulties that exist principally in the 75-acres bordered by 9th Avenue North, the Atlantic Ocean, Kings Highway and 3rd Avenue South, referred to in the PAMP as the Central Amusement District and the South Mixed-Use Area. In addition, the retail centers along Main Street (The Superblock), Broadway Street and their intersections with US Highway 501, known as the Entry District, have defied new growth as planned. 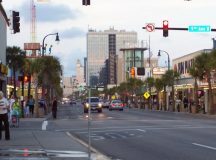 In comparing successful new developments throughout Myrtle Beach over the last 20 years — beginning with Broadway At The Beach and the Grissom Parkway corridor, Coastal Grande Mall and outparcels, Market Common, Grande Dunes, and continuing redevelopment of ocean-front resorts, the question that needs to be asked is: Why haven’t the Central Amusement, South Mixed Use and Entry districts of our downtown experienced the same new development and growth? There are many reasons: closure of the Pavilion, the Great Recession, changing retail demand, multiple absentee property owners, political will, insufficient public infrastructure, small lots, lack of public safety resources, and the list can go on. 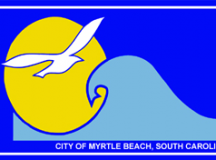 Myrtle Beach city council and staff are apparently engaging in an elaborate smokescreen to mask the real reason behind the proposed family friendly zoning for Ocean Boulevard. When council passed first reading of the ordinance establishing a family friendly zone on the boulevard between 16th Avenue North and 6th Avenue South the reason given was to make the boulevard safer. 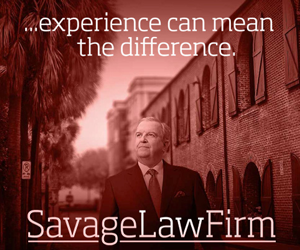 It seems, according to the party line, that selling t-shirts and other novelty items with ‘suggestive’ phrases on them and the sale of hookahs and knives caused the spate of shootings which have become all too common on Ocean Boulevard. It doesn’t seem to make any difference that all these items are sold legally and, in fact, have been sold for many years in many other areas of Myrtle Beach including other sections of the boulevard and in Coastal Grand Mall. For some reason, they only have this strange effect between 16th Avenue North and 6th Avenue South. If you believe that one, I know of a bridge in Brooklyn for sale. This action appears to fit into a bigger plan that has been talked about for decades. I submit this is the second step in a larger plan that began when the city used a ‘secret agent’ to buy up land in the superblock and now plans to use eminent domain to obtain the last several parcels that it couldn’t get secretly. It is interesting to note that despite much talk about a new location for the Children’s Museum and Chapin Memorial Library, no money exists in the city budget to build such a structure. It appears that this attempt to harass business owners in the proposed family friendly zone may well be nothing more than an attempt to create more empty buildings that can be bought, either secretly or overtly, at reduced prices by the city. Tuesday’s announcement by city officials that a library and children’s museum is being planned for the Superblock in downtown Myrtle Beach does not come without raising questions. Ostensibly the city attempted to maintain secrecy in order to keep property values from escalating, according to statements by several city officials. Another question – why is Chapin Library part of this grand city plan? When the South Carolina General Assembly passed Home Rule legislation in 1975, it specifically made libraries a responsibility and function of county government. Chapin Library is a city owned library that pre-dates home rule, but has been the subject of discussions between city council and county council over the last decade, with the city looking to get out of the library business or, at least, have the county pick up the costs of running the library. Now, in an apparent reversal, the city plans to build a new library with a line of credit backed by taxpayer dollars. No one argues the Superblock is not a blighted area that needs redevelopment. One could argue things in that area haven’t changed much since the early 1990’s when then city council members allowed Burroughs and Chapin to hijack money targeted for downtown redevelopment and use it instead to build Broadway at the Beach.